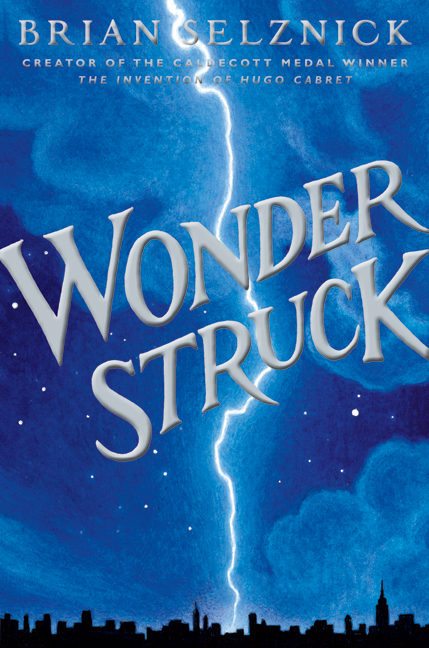 The book Wonder Struck is by Brian Selznick, who wrote the Caldecott Award winner The Invention of Hugo Cabret. The Invention of Hugo Cabret is a book that is told in pictures and words (about 50-50). The way he writes his books is in a very special way, the slower, dialogue heavy parts of the book he does in words and the more action-y parts of the book he does in pictures. In Wonder Struck he does it differently, one of the stories is in pictures and the other is done in words. It give the book that sense of wonder when one of them is missing words and the other is missing pictures. 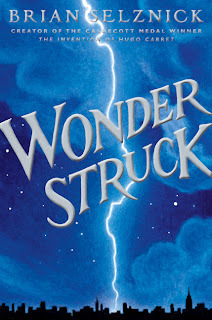 Wonder Struck is one of those books where there are two different stories going on at the same time, but close to the end of the book the stories become intertwined. So be on the look out for this cover in book stores during the month of October (when it comes out)! I will make another blog post on this book when this book comes out.